Some gamers want all the bells and whistles, whereas gaming purists want raw, undiluted performance. With the Suora, the gaming purists have found their keyboard. The SuoraÆs frameless design channels its philosophy as a pure and efficient mechanical keyboard for no-frills gamers. Its robust, compact build with aluminum alloy housing provides a consistent, distraction-free platform. Get closer in touch with pure gaming with the Suora! The Suora features a unique build in that its design is entirely frameless. No palm rest, no thick border, no thumb keys, and no unnecessary media keys û just high-quality, durable mechanical keys mounted on a durable plate. This raw design lets you get closer in touch with the action, for lightning-fast and distraction-free gameplay. While your enemies are tying their fingers in a knot while theyÆre lost in a sea of keys, youÆll be one step ahead with your instinctive control. It isnÆt much good having an intuitively designed keyboard built for speed if the keys canÆt keep up with your hot action. But you wonÆt have that problem with the Suora. 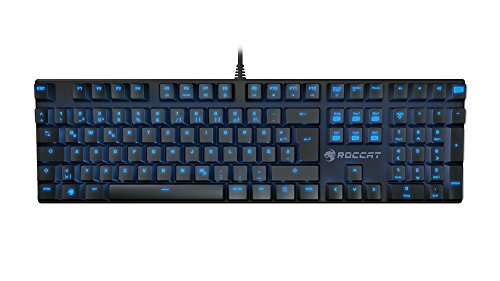 It rocks an advanced anti-ghosting matrix that ensures every key stroke will be registered, time and time again. With its 1000Hz (1ms) polling rate will be with you every key stroke of the way, each and every time. If you play hard, you might be worried that your devices wonÆt be able to last the distance. No need to worry about that with the Suora. It might have a compact and frameless build, but make no mistake û this is a keyboard thatÆll safely see you through war after war. It features a robust aluminum housing that provides a consistent gaming platform. Its solid construction is complemented by tough mechanical keys with a staggering 50 million key stroke lifecycle.